Surprise. I’m making a recipe for Bacon Ranch Potato Salad (coming up next.) A surprise because those that know me know I don’t like Ranch. Uh, hunh, no, no, nope. Except my Home-made Greek Yogurt Ranch and that’s new. But my evil sis talked me into coming up with a Bacon Buttermilk Ranch Potato Salad and what’s a girl to do? I stuck with the basics for the first go around (very good) and then went a little sideways with some adaptations. 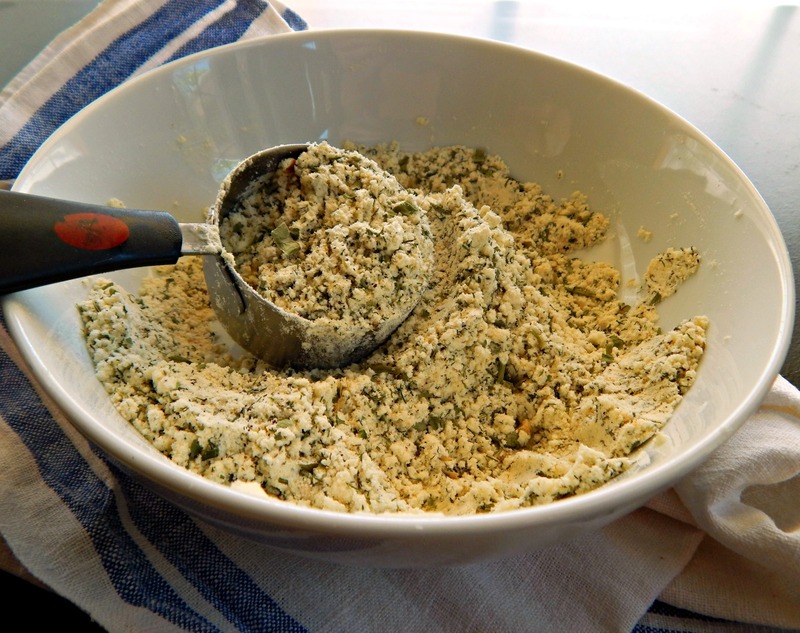 What sets my recipe apart is dry mustard powder – an original Ranch ingredient. See my Top Secret Super Stealth Arsenal of Ingredients for mustard powder and a few other fave flavor boosters. And then I took some departures for the second batch and included smoked paprika, a little dried cilantro (which isn’t very strong, being dried, but just adds a little something to the mix) and a touch of Coleman’s mustard. Love that stuff, and a little goes a long way. Those are optional in the recipe. As long as you work with about 3 to 4 tablespoons of the original three herbs in the Ranch Mix (parsley, dill and chives) feel free to mix and match them how you like. I am not a dill fan, but even I can admit how good it is in Ranch. And now I can admit how good Ranch can be! And I hope you can, too! And of course you can add a little less or more of the garlic and onion powder, salt and pepper. If you’re watching your sodium, making home-made is the way to go. Mix together. Store in an airtight container, preferably in the fridge. 3 tablespoons equals 1 packet of store bought. Whisk together, adding additional milk to get to desired consistency. Make thicker for a dip but for a dressing, whisk in milk until it’s creamy but still substantial and the whisk still leaves trails. Best if made about an hour ahead so flavors develop. Note: when making this for my Bacon Ranch Potato Salad, I use the four tablespoons of the mix. This entry was posted in Click here for Fabulous Food Posts and tagged home-made Ranch dressing, ranch dressing, ranch mix, Salad Dressings. Bookmark the permalink. Haha! I think I was just too old when it came out! What I do like (and hate to admit) every now and then is Western dressing on ice-berg lettuce! Just like I had when I was a kid! Thanks to you, I now have a dedicated shelf in my pantry with Ball jars filled with dry mixes. I’ll add this to my “collection”. Loving making my own (or should I say, yours?) and always having it fresh. Such a taste difference! Thanks!! I love my Ball jars and do the same! I still have to make up that Cream soup mix! I made a casserole last week (I think – when I blog weeks dissapear and I tell time from post to post, lol!) and used canned and was thinking about it again. I should try this! I almost never have jars of dressing around, but occasionally do have some packets of seasonings. I know I could do it cheaper (and probably better!) myself. I’ll be coming back to this for sure! I have been searching for dried buttermilk powder, but I haven’t find any. I will keep searching. 😀 Thanks for sharing, Mollie. WHAT!? Now that I’ve never heard of but am very excited to see!! I bet it’s amazing? Do you sprinkle it on the finished fry? Oh yes, it is! I could finish a large bucket of sour cream fries!🤣 And yeah, you sprinkle it with the finished fry. I never use ranch dressing because I don’t buy commercial salad dressing – but now I see some homemade ranch dressing in my future. So glad you posted this. Thank you! This looks good. I sort of like ranch, but my kid wants it with everything. I once kept a container of dried buttermilk in my fridge for a year or so and it kept nicely. Will track some down to try out this recipe. Thanks! Sounds interesting! I’ve never heard of dried buttermilk powder..
It’s very convenient to have around for certain things, mostly baking. I keep meaning to price it out and see how it compares to buying buttermilk but have just been too lazy. I’ve never seen it here but maybe I haven’t looked hard enough..